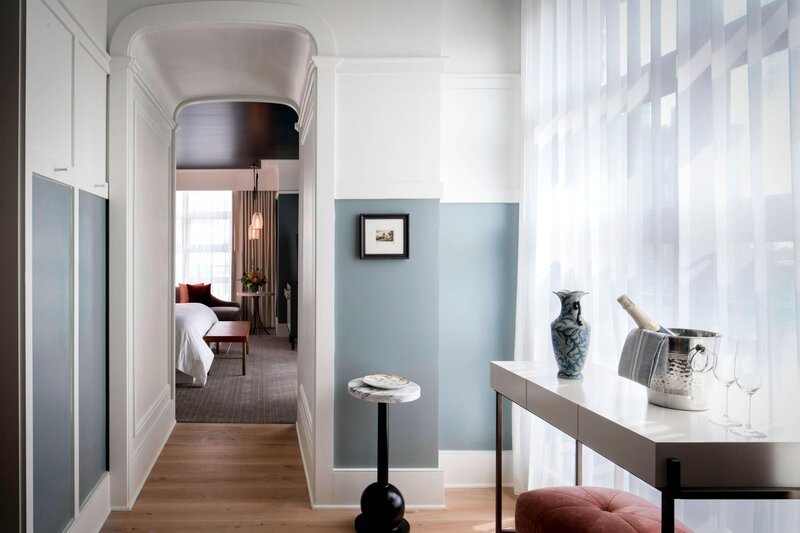 Surrounded by live oak trees draped in Spanish moss and the indigenous allure of antebellum architecture, Perry Lane Hotel, a Luxury Collection Hotel, Savannah is an oasis where both locals and travelers thrive. Take one of our bicycles for a ride down the cobblestone streets of Savannah and explore historic destinations such as Forsyth Park, Jepson Center for the Arts and Chippewa Square. Paying homage to our Georgia roots, we flaunt an eclectic aesthetic infused with a curated collection of local artwork, modern amenities and timeless luxury. A replenishing cookie jar, sumptuous bedding, expansive windows and Smart TVs in our boutique rooms foster an inviting atmosphere, welcoming you to an honest escape. 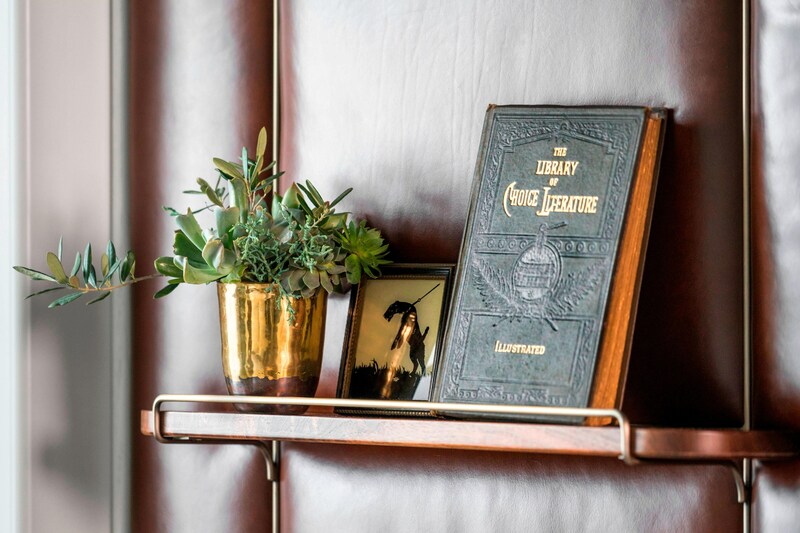 From a buzzing rooftop pool to a cozy library, our hotel hums with a captivating ambiance. Whether you&apos;re savoring the slow pace of Southern living or joining the vivacious revelry of River Street, Perry Lane Hotel, a Luxury Collection, Savannah is the perfect focal point for your adventure. Experience the eclectic hybrid of Savannah&apos;s dining scene at Perry Lane Hotel, with three distinct dining outlets. Showcasing locally-sourced, quality menu items, Emporium takes your dining experience to the next level. Experience swanky rooftop vibes at our sophisticated bar overlooking historic Savannah. Inviting visitors to throw social norms and embrace their rebellious side, our cozy bar is the perfect local watering hole. Contemporary style meets modern elegance in our Savannah rooms & suites. Each room features unique artwork, deluxe bath products, a fully stocked private bar. Experience a refreshed take on luxury when you stay in our residential styled suite, decorated with locally-inflected amenities and individual touches. Curated for comfort, the guest rooms at our downtown Savannah hotel showcase locally sourced decor. 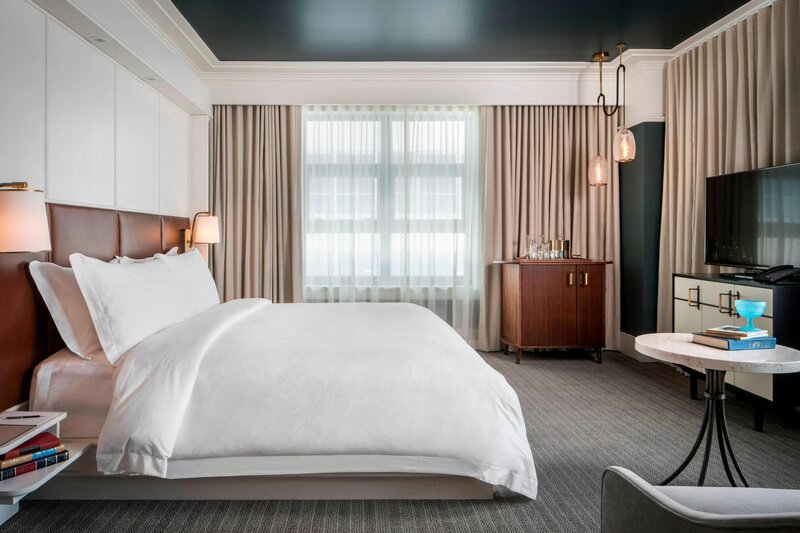 Spacious suites at Perry Lane Hotel represent the epitome of luxury through elegant fabrics and a sophisticated color palette. Get inspired by our surroundings. The venues at Perry Lane Hotel, particularly our rooftop Ballroom, provide our guests a one-of-a-kind location to host events. Discover the best views in Savannah and make your wedding dreams come true on our rooftop lawn. Say "I Do" at our Savannah wedding venue. Our venues are customizable to your occasion, whether it&apos;s a Rehearsal Dinner, Bridal Shower, Holiday Party, Birthday, Baby Shower or other social function. Set atop the hotel, the glass-enclosed Ballroom is the ultimate backdrop for the perfect wedding or societal affair. For a meeting venue that exudes luxury and sophistication, Perry Lane hotel provides the perfect combination of location service and unique space. 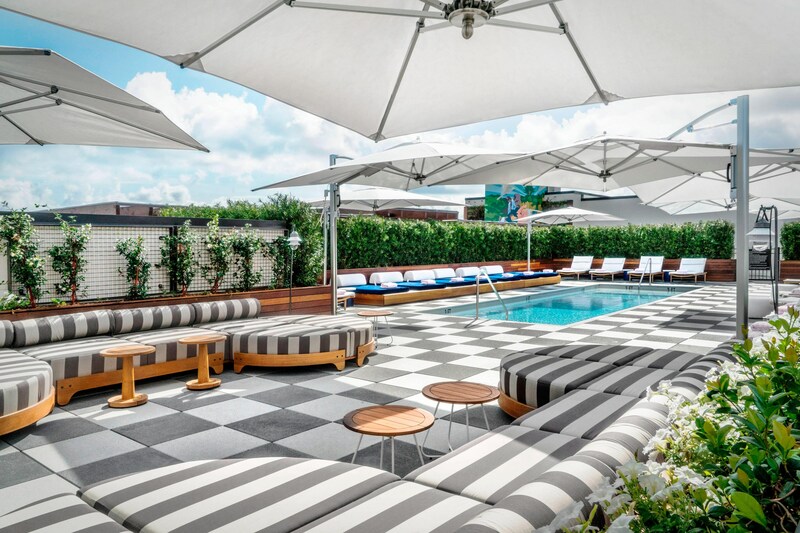 A destination in itself, the rooftop of Perry Lane Hotel has a wide variety of experiences for the global explorer. An urban oasis situated in the heart of Savannah. Experience serenity with yoga classes on our rooftop! 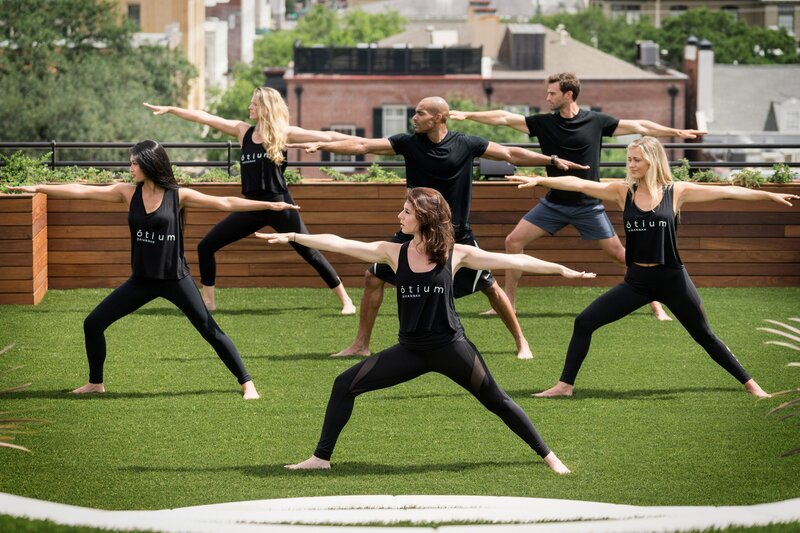 Our partners at Otium Studio offer regular classes on-site, which can also be booked for private groups. Bocce ball, bean bags and more! 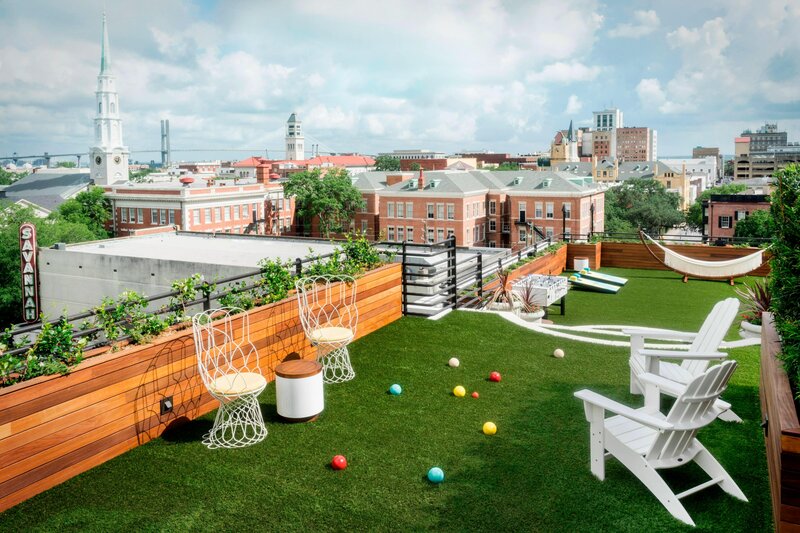 Our rooftop deck provides fun and games for children of all ages - especially when you pair it with a cocktail from Peregrin. Feel on top of the world and take in the stunning views from our rooftop pool deck! Take a dip in our year round pool after a day exploring downtown Savannah. Exceptionally located in Savannah’s Historic District, Perry Lane Hotel is just a short walk from a myriad of adventures such as the Broughton Street retail corridor, Savannah Riverwalk, and the district’s largest greenspace - Forsyth Park.